Golaghat police refuse to reply bar association's RTI! The public information officer of the office of superintendent of police at Golaghat has refused to give information sought by Golaghat Bar Association (GBA) through Right To Information (RTI) Act. The GBA filed an application under RTI Act seeking certain information relating to the alleged death of Gyanendra Rajkhowa in police firing. Gyanendra, a mentally-challenged ex-BSF jawan, was killed allegedly during police firing in Upper Assam’s Golaghat district. The incident happened in Habial village during the first phase of panchayat elections on December 5 last year. ‘‘We sent the RTI application by registered post on December 17 which was received at the office of superintendent of police on December 19 but even after the expiry of the prescribed time limit, we did not get any reply till date. 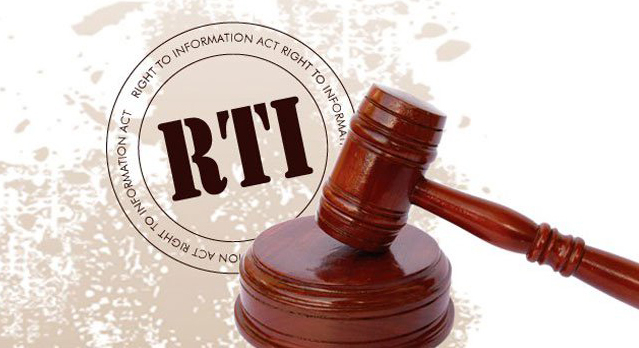 As per section 7(1) of the RTI Act, 2005, the public information officer is required to provide information within 30 calendar days,’’ said Durga Prasad Jaiswal, secretary of GBA. “The entire incident of Gyanedra’s death was a glaring example of police brutality and atrocity as the police team led by deputy superintendent of police Partha Protim Saikia and officer-in-charge of Golaghat police station choose to fire upon a mentally challenged man instead of using other non-lethal measures to overpower him,” said Durga Prasad Jaiswal, secretary of GBA. “Even though a case was registered against the DSP under section 302 of IPC the ongoing investigations raises doubt about the seriousness of the police into the whole matter. The police were busy in recording the statements of witnesses under section 164 of Cr.P.C. against the deceased, which we believe is nothing but to protect the erring police officials because a criminal case abates on the death of an accused,” said Jaiswal. Moreover the investigation of the case registered against the DSP was assigned to sub-divisional police officer of Bokakhat whose transfer order was out prior to the incident,” Jaiswal said. “Therefore through our RTI application, we sought the certified copies of general diary entries from midnight of December 4 to midnight of December 5 of Golaghat police station, the name and designation of all the police personnel who were sent to apprehend Gyanendra Rajkhowa in connection with Golaghat police station case (no 1054/18) on December 5,” added Jaiswal. On December 5, 2018, the transfer order of Bitul Chetia, SDPO of Bokakhat, was also out and the same was received by the office of superintendent of police, Golaghat. The Golagaht Bar Association also decided to file a Public Interest Litigation (PIL) in the Gauhati High Court and lodge a complaint against the DSP and officer-in-charge of Golaghat Police Station before the State Police Accountability Commission.